CC Flickr photo of a Nissan Leaf courtesy of mah-japan. There’s a lot of hype about the green reasons to drive electric cars, as well as the debate between upfront cost and eventual savings. While social responsibility and reducing your carbon footprint is clear reasoning for some, practical logic makes better sense to others. If you are considering joining the electric vehicle conversation, here are a few smart starter tips from an EV driver. Unlike gasoline-powered vehicles, your daily commute isn’t effected by oil strikes or high gas prices if you are driving an electric automobile. You won’t spend another dime at the fuel pump, and forget about funding oil corporations in countries overseas. The fluctuating costs other people deal with aren’t any of your concern, and gas stations and convenience stores are just a faint memory. When Hurricane Sandy struck, havoc began for New York and New Jersey drivers. The gasoline supply ran low, power failures disabled gas pumps and trucks had trouble bringing any fuel in for a long time. Electric car drivers, though, were left “unfazed,” reports The New York Times. Instead of charging up at home, electric vehicle owners juiced up at public charging stations in unaffected areas close to home. Forget about air filters, oil changes, spark plug replacements and broken fan belts because electric cars don’t have them. Even the brakes last longer than conventional vehicles on electric cars, according to Discovery.com, because of the regenerative braking technique that they use. Instead of applying mechanical friction, the car reverses the electric motor to slow down, meaning less wear and tear. Though lithium-ion batteries do lose capacity over time, Phoenix Nissan and Chevy dealers have enough confidence in their battery technology to offer extensive warranties for the LEAF and Volt batteries. Critics are quick to point out the limited driving range of an electric car compared to conventional gas-powered vehicles, causing “range anxiety.” But consider this: the average American travels about 20 to 40 miles a day, according to bts.gov. Most new generation electric cars boast 100 miles per charge. With all of the perks, benefits and incentives that come with driving a fully electric car, range confidence is high on the list. And let’s face it, most families are two car households anyway. If one of the vehicles is electric and the other is not, then the driving range issue is practically non-existent. Dependence on foreign oil puts the U.S. in a difficult situation. 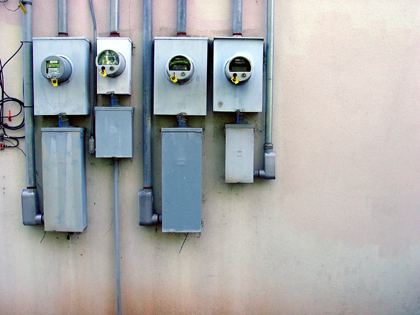 Using electricity, on the other hand, can boost the local economy. Home grown, so to speak, electricity in America comes from burning coal and natural gas, and is also being generated through renewable sources such as wind. Power plants have sophisticated emissions systems in place, so the power that comes from a power plant will generally be drastically cleaner than creating the power with an individual internal combustion engine when it comes to affecting local air quality. Federal and local governments are backing electric cars, offering tax rebates and other incentives to electric car drivers. If driving electric didn’t already look attractive, it does now. Expect to not only get a rebate at time of purchase, but also perks like free parking, reduced registration fees and HOV-lane privileges. See our list of electric cars available in the USA for 2013. Do you drive an electric car? Did you consider an electric car and buy something else instead? Leave a comment!